I'm Unschooled. Yes, I Can Write. : Blame Unschooling! There's something I've noticed a lot that can make things really difficult for us unschoolers, and that is this: unschoolers are always held to a higher standard than those with more traditional educational backgrounds. Anything "bad" (note the quotation marks) is the fault of unschooling. If you have trouble getting a job (regardless of the state of the economy, social privileges or a lack thereof, or any other important factors), it's because you unschooled. If you're a naturally introverted person, it's because you unschooled. If you miss a deadline, make a typo, make a small mistake when counting out change, hell, if you happen to be clumsy, it's probably because you're an unschooler. On the other hand, anything "good" about your personality, anything impressive that you accomplish, is entirely because of you, and has absolutely nothing to do with unschooling: you're obviously just a motivated/intelligent/whatever person who would do well no matter what the circumstances. In contrast, schooled individuals, when they "fail" (again, the quotation marks are important), it's because they're too unmotivated/stupid/whatever: it's NEVER the fault of schooling. And when a schooled individual accomplishes something impressive, it's because of the wonderful education they received at school, never in spite of school, or because of their own inherent wonderfulness. It's most definitely sad. And very frustrating. It also puts a lot of pressure on you. Because whether you like it or not, the minute you admit to being an unschooler everything you do becomes a reflection on all unschoolers. I've felt the zeroing in of attention the second I mention, and then usually explain, unschooling (though lately I've come across some people who are already at least vaguely familiar with the concept... Yay publicity!). The questions start coming, of course, but along with that, it often feels like you're being evaluated. It's like they're examining a foreign specimen, wondering if you'll prove to be a "normal" human or not. I'm a reasonably social and confident person, at least when it comes to the subject of alternative education and unschooling, so it doesn't usually bother me. It's actually kind of fun: the challenge of being social and charming, and presenting my case in a calm and logical way. By the reactions I tend to get, I think I might even be pretty good at it. But when I think of how this would be for many other unschoolers out there, or even think of myself a couple of years ago, I most definitely understand why many people choose not to bring up unschooling at all, and I remember why I'd never get into the details myself until a couple of years ago. When you do something outside of the mainstream definition of normal, people think they have a right to demand an explanation. Or if they're interested in possibly doing it themselves, they simply really really hope you'll explain it to them. Yet even with the nicest, most well-meaning and interested people, it can sometimes feel like a pop quiz (or at least, I imagine it can... Having never faced a real pop quiz of which people speak, my metaphor could be off). Like I said, to me, it's fun. It's energizing. It's a new challenge each time, to decide how to present things, which quotes or anecdotes to bring up (at this point you may be starting to see why I enjoy public speaking so much...). But whether you like it or not, there's always that pressure: by being open about being an unschooler, you become, to the individual or group of individuals you're talking to, the unschooler. The one who speaks for and represents all unschoolers. That's a lot of pressure, and, obviously, inaccurate. I think that to the great majority of people out there, unschooling is thought of as a method of education. And I think I've referred to it as such myself, at times. But that description doesn't sound quite right to me: it makes me think of all the different curriculums and school reforms, where new methods are implemented, then the results are studied. That's what people often see unschoolers as: results of a specific method of education. "I don't think "unschooling" created me or gave me an ability. I think it simply gave me the freedom to create myself and supported my innate abilities. Whereas schooling or limited mentalities got in my way, unschooling stays out of my way." As unschoolers, we're not results: we're individual people with individual experiences, personalities, passions, and goals. I definitely feel unschooling has impacted who I am as a person, but I feel the same way Tara does, in that I feel that by unschooling, I had the time and space to become my own person. 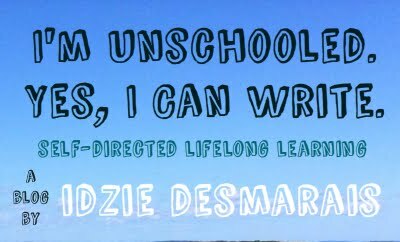 Unschooling gave me freedom. The rest I did myself. Or, myself, with the help of the world, my community, and life in general... Unschooling didn't create the aspects of myself that I'm proud of, and neither did it create my less than stellar qualities. My achievements and mistakes are thanks to me and the circumstances I've found myself in. It's harmful for people to look at someone who unschools, and see only the product of a specific type of education. Instead, people need to shift the focus away from whatever education someone did, or did not, have, and focus instead on the actual person. Of course, that's easier said than done, but as more and more people are recognizing the failings of both so called higher education and the compulsory schooling system itself, I have high hopes that the focus will shift evermore towards a more organic and flexible view of what it means to be "educated and successful." Great post!!! I call what you are describing the "witch hunt". I mentioned the same thing in a post I wrote this morning! It seems everyone holds our children to higher standards because of the path that we have chosen for them. Oh, so true. It's why sometimes I still can't be bothered to explain, I just say homeschool and leave it at that. When I'm in a mood for explaining though it is fun! This post made me laugh. Almost every detail in it described the same way I feel. I would love to explain how it works with my friends, and others who ask. It's almost impossible though, because it seems like they have the attention span of a mosquito. Which is why I just say that I'm homeschooled. You're describing what I think of as the behavior of "education privilege" and it is analogous to many other sorts of privilege/behavior (white privilege; health privilege; cis-gender privilege, etc. etc.) where the views of the majority become accepted as the "norm" and the members of the non-privileged group are often expected to represent or defend themselves and their natural state of being or are often used as the example to define the minority experience. It can be enlightening to find yourself in a minority position and for me (as an unschooling parent), at least, has opened my awareness to the existence of so many types of privilege--and hopefully has increased my empathy! Oh wow! I need to remember to have my unschooling son read this when he gets back from his snowboarding trip! I'll bet he feels the same as Tara Wagner and you!
" 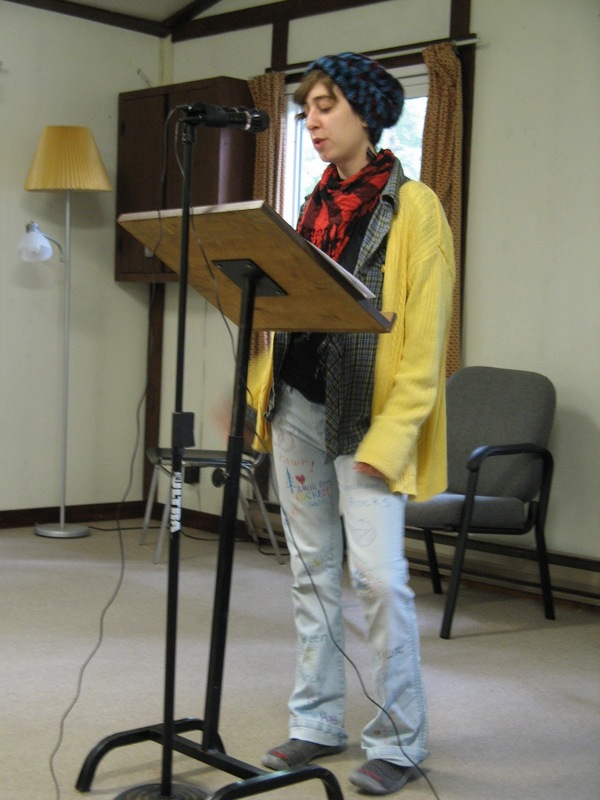 I feel that by unschooling, I had the time and space to become my own person." Yes. Too many people think of unschooling/life learning as just another system you impose upon children, with the goal of getting Good Results. I'm sure some unschooling parents/carers approach it that way too, but for myself and many others it is a way of life, or a part of a way of life, that is about preserving the child's integrity, self, and autonomy. It's more standing out of the way, supporting, and trusting that God/nature/whomever designed people pretty well. What a wonderful post. So true. You are so right! Are you talking about this type of scrutiny within the hschooling community? Because I think what you're saying holds true for all homeschoolers among the general community. When my kids didn't meet someone's target for what they should be doing, hschooling them was the reason; when people were impressed they often felt they had to say, "Well, your kids are unusual. Most hschoolers aren't like that." I've listed your blog in my menu at Wordpress http://marnimum.wordpress.com/ so anyone who visits me might visit you (don't expect the door to break down or anything...I don't have many views so far). Love to you - and cheers to the Possibility life wields! The title of your blog made me smile. My seven-year-old is currently learning to write. It seems to be the thing she's most passionate about right now. I haven't directly taught her anything, except when she asks the spelling of a word. My family worries about our very relaxed, eclectic way of learning (I won't use the word unschooling, because I do make a few requirements), especially since I have a 17-year-old with no intention of applying to college. And I know if my kids don't meet society's definition of "success" their lack of traditional schooling will be blamed. I'll be blamed. Ah well, blaming mothers has a long, distinguished history going back to Freud. I hope in the long run it will feel like a small price to pay for keeping bureaucracies and excessive curricula out of their way. So glad I stumbled upon your blog - great post! The title of your site caught my attention, since a family member recently came to me with his concern about my son's inability to read and write. He came to this conclusion when he asked him to read his Corona bottle and my son said "Catalina." Since my husband and I pulled our kids out of school and started unschooling, people have felt the need to question and quiz them to see what they know and don't know. UGH! I appreciate your blog post here very much. Thank you for a wonderfully articulate commentary. I sat in a meeting this fall where several freshmen to our local university were asking questions about our organization. We had to DEFINE words for several of them-- words no home school kid I know would have needed defined. Truthfully, words that made me wonder how they got into college with such a limited vocabulary!! Nobody quizes public school kids, probably a good thing if these college kids are any example. "By unschooling I had the time and space to become my own person." You summed up perfectly the main reason we are unschooling our children. The biggest and most precious gift I can give them is time. Time to find their interests, gifts and talents, time to develop them, and then to share them with the world. I so understand what you are saying. They all worried so when i chose to homeschool my dyslexic child. "I am very worried aobut him being so behind in reading" my teacher-sister said. Um...he's dyslexic. Then when I brought him up three years , yes years in reading level and he was nealry on reading level I was told that that happens for all kids - "it just kicks in eventually", my sis-in-law explained. NO credit for her teacher-Mom. However the closeness of our family is the really big prize here. I really love your post especially this one. I used to be an unschooler a couple years ago but even your unschooled you can do things that other's can't. Idzie, you get me! This has been the struggle of the decade for me. Yes! And this relates to the issue I have with folks who ask, "Well, how do you unschool?" What do you mean, HOW? How do we *not* do something. We simply don't go to school or ascribe to a set method of education. That's what unschooling refers to, it's not a METHOD. But it goes to show that folks are so ingrained in their schooled mentalities, that to be educated, one must have something DONE to them. Force. Action. As opposed to simply taking that force/being acted upon out of the equation. It is extremely hard for most people to wrap their heads around this concept, I find. GREAT post and thank you for your insights Idzie!